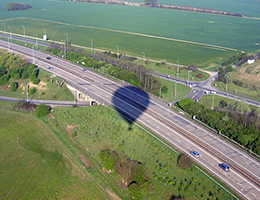 Close to the county town of Chelmsford and its 15th century cathedral, this is a pretty site for a hot air balloon ride take off. 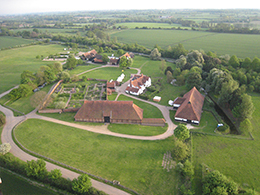 The moated Hall date back to the mid 15th century but with Norman origins which predate the existing structure. Surrounded by 100 acres of woodland this creates ideal protection from the wind as the hot air balloon is inflated for launch. 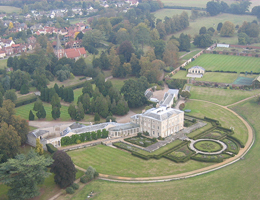 It is also a popular venue for weddings. 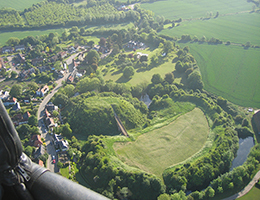 On a south westerly breeze from this site your hot air balloon ride over the Essex countryside might land near beautiful Terling Place or a little further on this direction is the formal Tudor walled garden of Cressing Temple and the Temple Barns two of the finest remaining in Europe, built by the Knights Templar in the 13th Century. 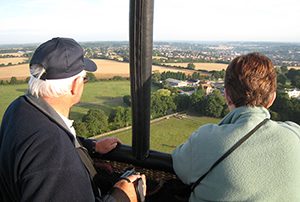 Whatever, a feast of aerial views await you on balloon rides over Chelmsford and beyond.